Mechty (which means 'dreams') is sung in Russian so good luck with that, but the sound they produce is very much like Dialectic Soul (also Russian), but not like Hollenthon for example. Don't expect female voices, movie themes and operatic singing. It's harsh vocals and catchy (yes, catchy) melodies backed up with an mid-tempo marching-like drumming style (which they perfected since their 2004 demo). On the background you can hear the keyboard swirling away giving it the 'apocalyptic' mood we discussed earlier, but not in a poppy kind of way. These guys are serious. Although 'Mechty' is self-released because they can't seem to find any good record labels in Russia (Quote: "...in Russia no good metal soundmakers. The main problem with mastering. And no good labels... We doing all with our own hands..."), they really seem to know what they're doing. Although the sound isn't as crisp as the professional bands out there, it is way better than usual black metal sound (which sounds like it was recorded through a phone line), and better than most self-released albums I heard. Better yet, you wouldn't even know if I hadn't told you. Give this upcoming band a try and you might even have a new favorite artist/album. 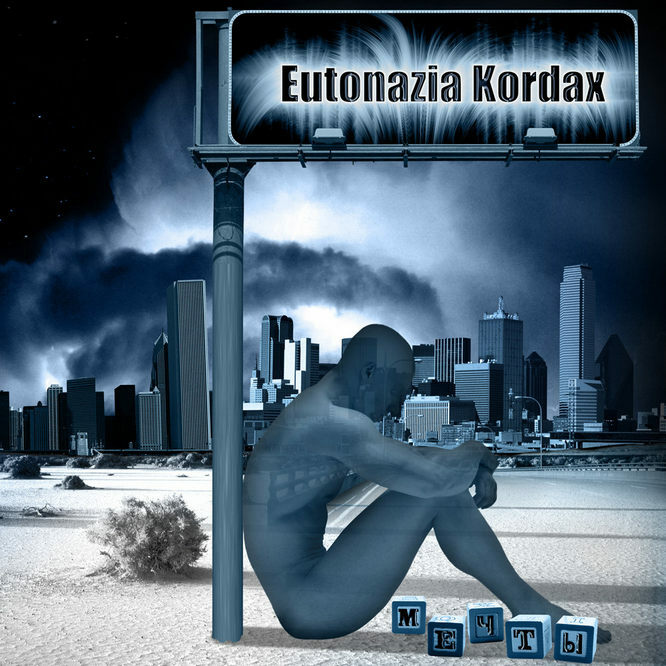 Most bands develop their definitive sound over a few albums, Eutonazia Kordax hits the spot right on with their 1st album. It also makes you wonder why there are so few that sound like them because it sounds familiar in a way. So if you're up for some refreshing new symph/black, this time with lemon.